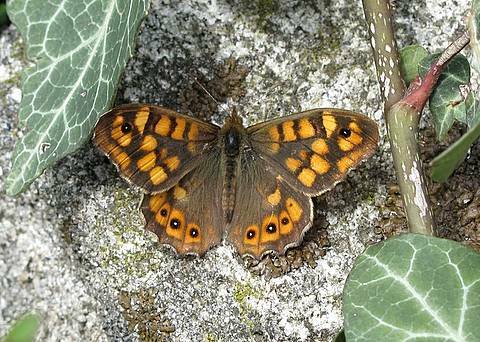 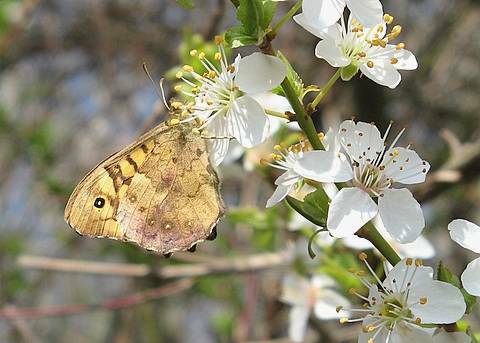 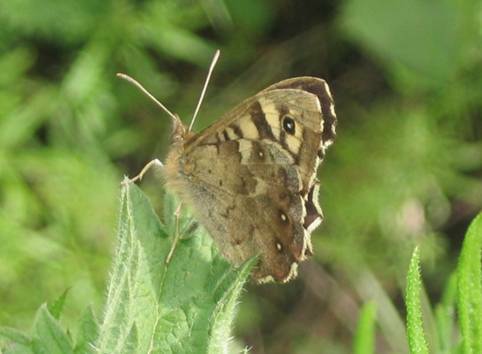 The Speckled Wood is an extremely common butterfly in the Lyon area of France and it is unusual not to see one during a butterfly walk at any time throughout the season. 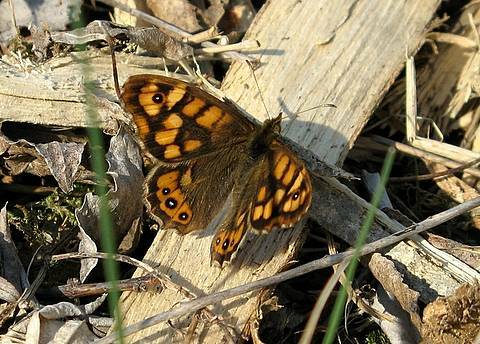 Adults are very fond of spots of dappled sunlight in amongst tree cover but are also found basking on the ground in footpaths and woodland rides. 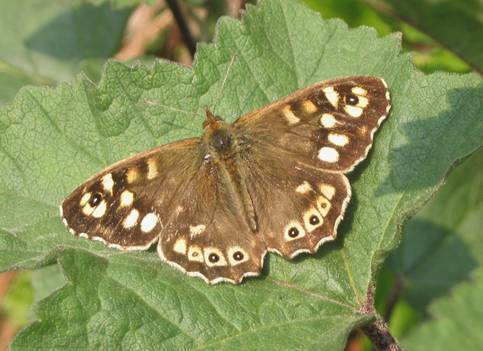 The males are very territorial and will challenge and take on any intruders. 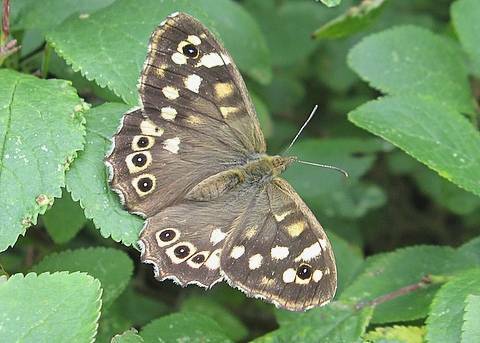 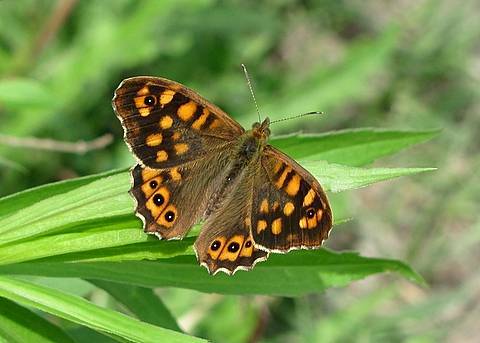 Several Speckled Wood males can be observed ‘sparring’. 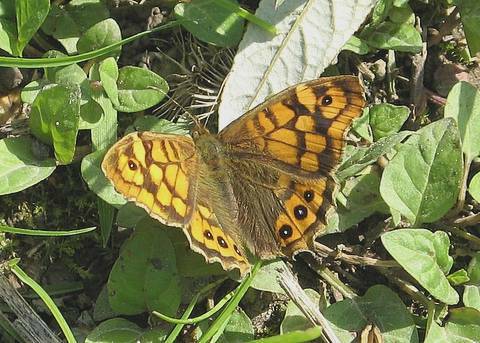 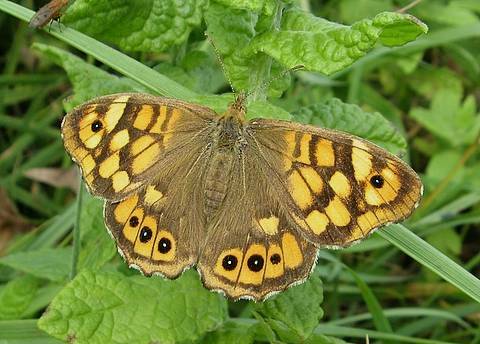 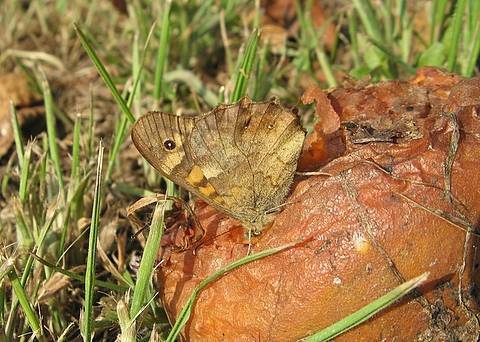 The butterfly is superficially similar to the Wall Brown in appearance and behaviour. 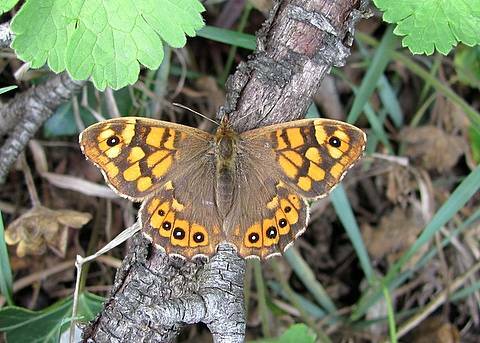 These 'orange' butterflies are known as the nominate subspecies of the butterfly P.a.aegeria but in its northern range the butterfly has yellow markings as opposed to orange ones and is referred to as the subspecies P.a.tircis. 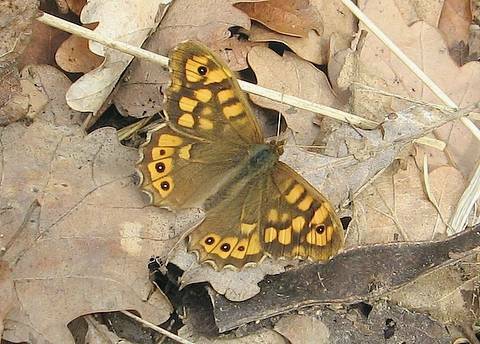 'Mid-coloured' individuals may exist where the ranges of the two subspecies overlap.